What does Avika mean, details, origin, short & easy attributes? Name Avika generally means Diamond, is of Indian origin, Name Avika is a Unisex name, which means both Boy and Girl can have this name. Person with name Avika are mainly Hindu by religion. Name Avika belongs to rashi Mesh (Aries) with dominant planet Mars (Mangal) and Nakshatra (stars) Krithika. Avika is baby girl name mainly popular in Hindu religion and its main origin is Hindi. Avika name meanings is Sun rays, Charismatic personality. People search this name as Avika, Avika meaning in hindi, Avikam. Avika is written in Hindi as अविका . Other similar sounding names can be Aaveg, Afaaq, Afiq, Avik, Wafeeq, Wafeeqa, Wafeeqah, Wafiq, Wafiqa, Wafiqah, Wifaq, Yuvik, Yuvika. Each letter meanings in Avika Name. Popular personalities with Avika Name. 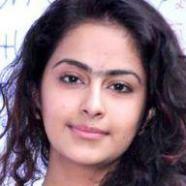 Avika Gor is an actress. She was most prominent from 2008 to present. Avika was given the name Avika Sameer Gor on June 30th, 1997 in Mumbai, India.